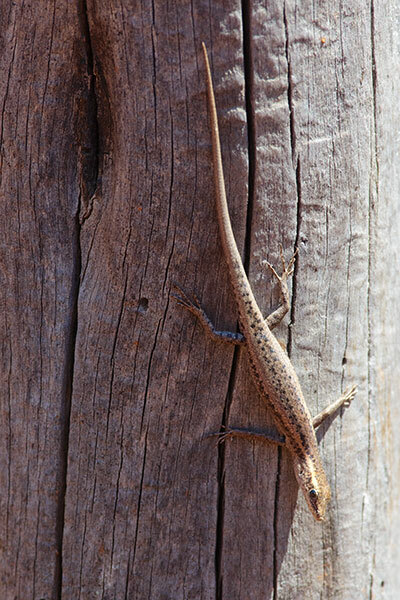 C. australis is the most widespread of the numerous Cryptoblepharus species in Australia. 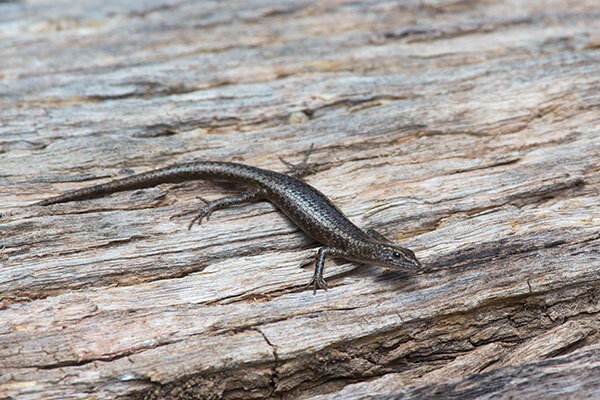 When I first saw this dark little lizard from a distance, I thought it was a baby Tree Skink, a similarly-colored species that was occupying many of the nearby logs. 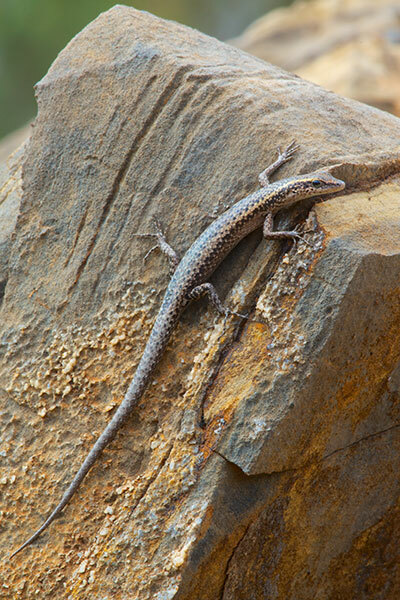 I spotted this little skink at the top of a small but steep rocky hill. 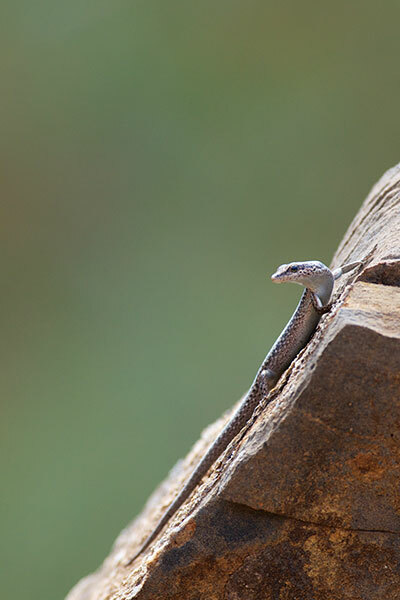 I hadn't seen any lizards for at least the last mile, so I really wanted to get its photo, and I did my best to climb up the back of the steep hill without disturbing it. I'm glad it was not easily disturbed, because it was really posing nicely, and these are among my favorite photos from this trip. Maybe this species is just particularly photogenic. Thanks little guys!